Tessier's upcoming auction will highlight the works of famed Russian artists inspired by Paris. The marquee lot in the sale is Konstantin Korovin's Ballerina on Okhotino's Balcony, an oil painting completed in 1923. Constatin Korovin was born in Moscow in 1861 and upon his first trip to Paris in 1885, he was struck by the power of Impressionism and devoted his work to creating dreamy landscapes with lush tones, painterly strokes and pastoral themes. He travelled extensively throughout Europe, and moved to Paris in the 1920s, but was always drawn back to a cabin he purchased in Okhotino, a summer retreat outside Moscow. 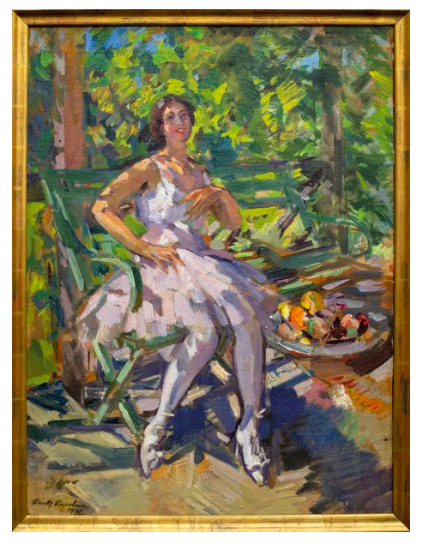 This work captures Korovin's signature style, featuring an elegant, smiling ballerina dappled in sunlight on the terrace at his Okhotino summer home. His flurried, painterly strokes, use of rich shades of lavender, emerald and chartreuse, and summertime bucolic setting were the hallmarks of the Russian Impressionist movement that he championed. The ballerina was likely the daughter of Russian opera singer Feodor Chaliapin, Lydia, who was a muse of Korovin's. He also painted Feodor Chaliapin in 1915. Today Korovin's works are popular at auction and have achieved prices into the millions. Another Russian artist who was inspired by Paris was Yuri Annenkov, who was born in St. Petersburg in 1889 and studied at the University of St. Petersburg with Marc Chagall. He was best known for his book illustrations, portrait paintings, abstract collages and set designs. 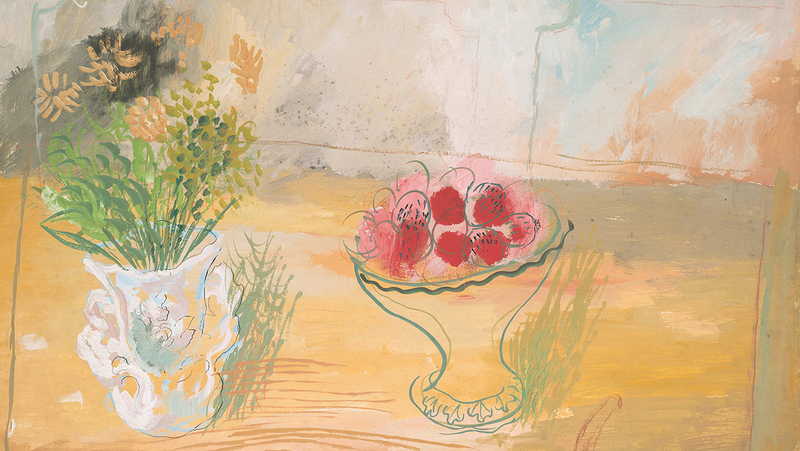 He moved to Paris in the 1920s and created this gouache, watercolour, pastel and ink on Satin Arche paper in 1930. 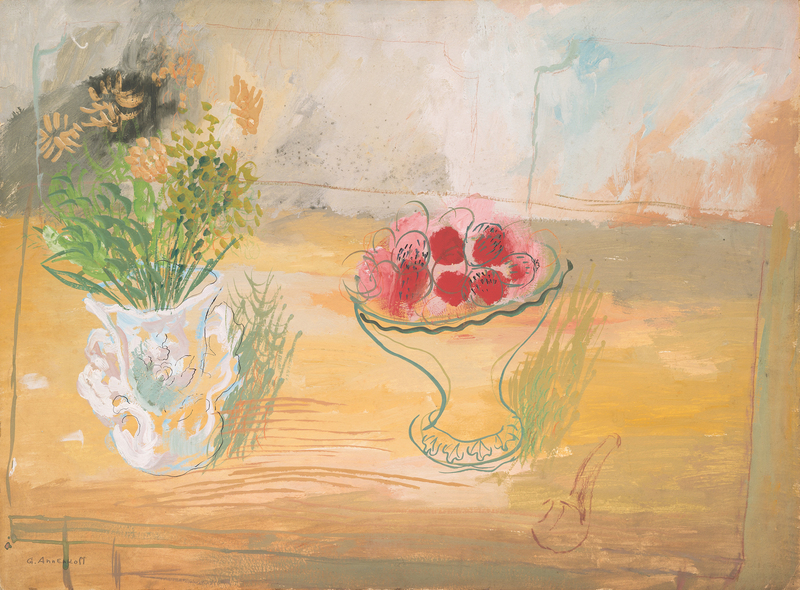 The whimsical, freeform lines, spatial composition and pastel colours recall Chagall's oeuvre and were part of Annenkov's still life series. He also created a similar version in oil that sold for over $120,000 at Christie's in 2016. Leonard Benatov was born into a Russian noble family, but escaped the revolution in 1918 to study at Russia's Academy of Fine Arts. He moved to Paris in 1922 and exhibited at the Salon d'Automne two years later where his intense, realist canvases drew critical acclaim. Later, he also showed this painting at the Salon, titled The Accordionist. 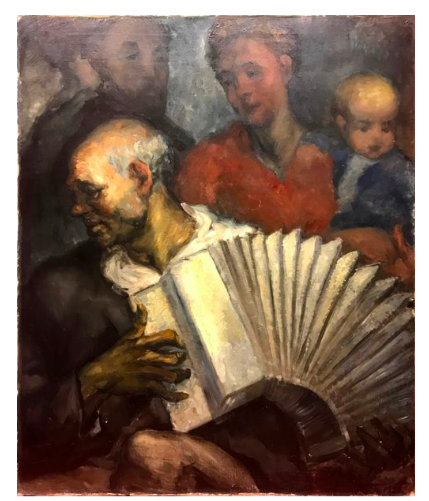 Painted in 1926, the artwork depicts a bohemian scene that highlights the accordionist who is bathed in light while a couple and child behind him are portrayed in darker, muted tones. 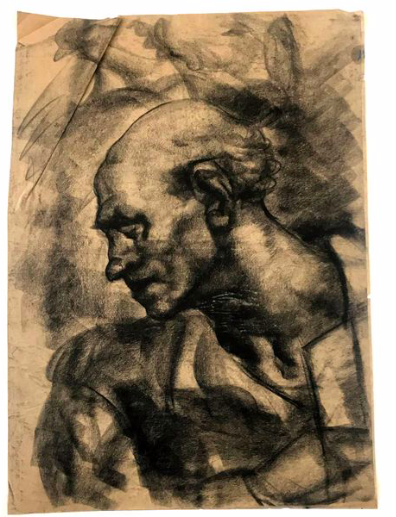 Accompanying this painting are three charcoal studies that Benatov worked on before executing the work in paint, which detail the profile of the accordionist. In addition to these highlights, French artwork, Cartier jewellery, ancient Roman sculpture and more will be on offer.